My fantastic Holiday VoxBox from Influenster had one of my favorite snacks in it. 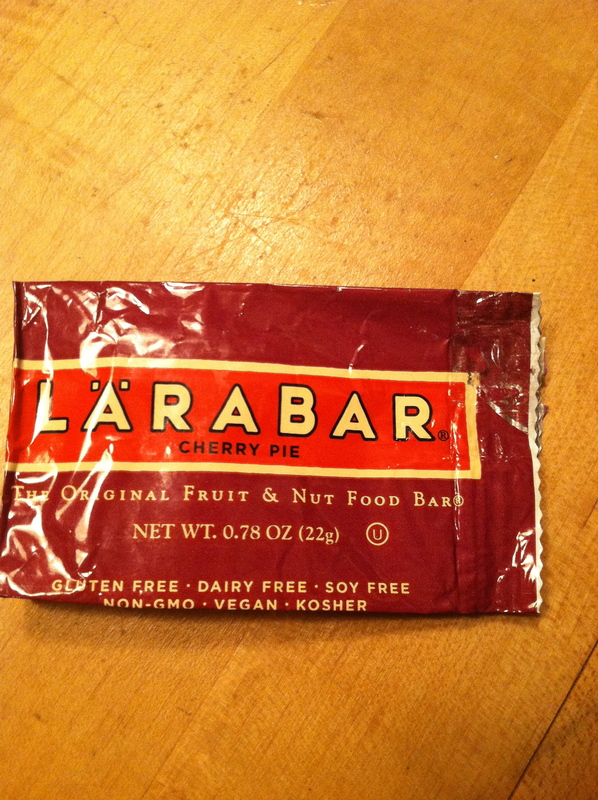 I should say, it’s one of my favorite snacks, but I hadn’t had one in quite a while so I was especially happy to get reacquainted with the Larabar. As you can see, the package is open, because I was hungry when it arrived so I dug right into it. While I wouldn’t necessarily confuse it for an actual slice of cherry pie, the tart cherry flavor was predominant, not a wimpy flavor at all. The sample bar I received was a smaller size than the usual, but I actually liked it better that way. It took the edge off my hunger and didn’t fill me up. This little goodie has only 3 ingredients – dates, almonds and unsweetened cherries. Totally natural and good for you. 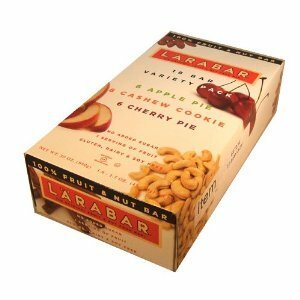 After scarfing down my sample I checked around and luckily found a sampler box – Apple Pie, Cashew Cookie and Cherry Pie flavors – of these small size bars at Target – very excited! Larabar has just introduced a new flavor – Cappuccino – so I imagine I’ll be searching for that any time now. These might be the perfect travel accessory. Small, satisfying, easy to eat with no mess. Perfect plane food when you (of course) aren’t being fed anything on your flight. So cool! I’m a member of influenster too! Are you getting a lovevoxbox?? Yes I am! I’m not so patiently waiting for it to arrive! You?? I just got mine today! Super excited!